New York is the heart of fashion world. There are literally thousands of shops in the city. We have created a list of our favorite shops in New York City. You will also find links to New York Shopping Guides, and videos of New York Shopping experiences. Enjoy Shopping in New York. Our picks for the most popular and compelling shopping destinations in New York City. 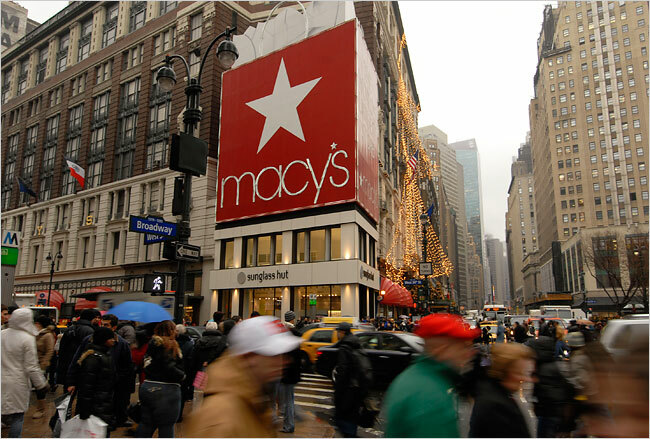 Picture of Macy's New York, world's largest store. Picture of Apple New York Fifth Avenue Store. Different shopping experience. Who Bumped "Shopping in New York"?